I present this years recycled Easter basket parade. 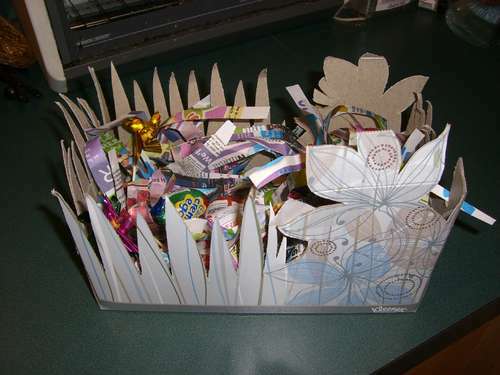 Each basket has either been crafted with recycled materials or could be made using recycled materials. 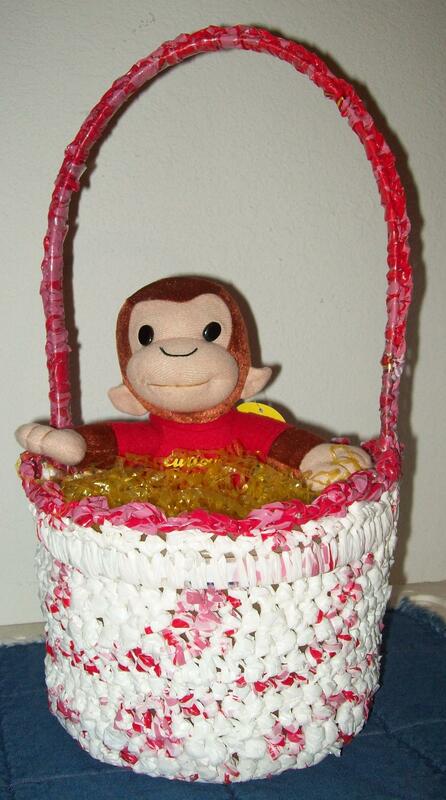 This cute basket with the monkey was crocheted by my friend Carmen using recycled plastic bags and an ice cream lid ring for her top edge. Both of these Easter baskets above were crocheted using my Easter plarn pattern here. Next is a recycled tissue box project which shows how it can be upcycled into a cute Easter basket. 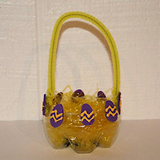 Here is a quick Easter basket crafted from a recycled plastic soda pop bottle. Now for some mini Easter baskets. 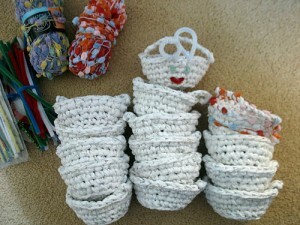 Here is a cute small basket pattern crocheted from a bed sheet. 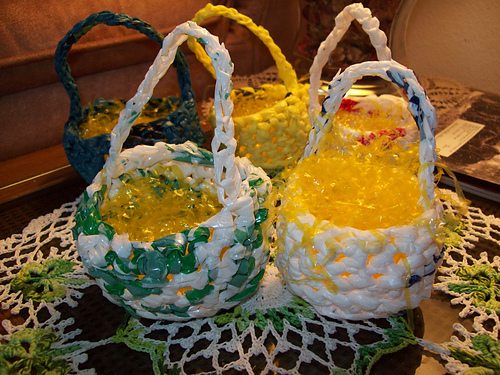 More creations from Carmen who crocheted these mini Easter baskets using recycled plastic bags in several different colors. 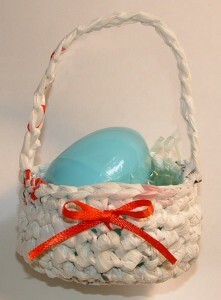 This little white basket is one that I crocheted and added a ribbon bow tie. These mini Easter baskets were crocheted using this plarn crochet pattern. 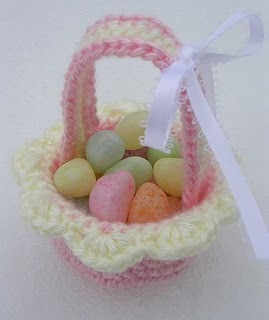 I saw this adorable mini Easter basket over at Ravelry that Marilee crocheted. This is done in regular yarn which could be crocheted using her pattern and reclaimed or scrap yarn. It’s just so cute that I wanted to share it with all you. I hope you have enjoyed this Easter basket parade. Many of these recycled crafting projects and patterns are quick and so eco-friendly to make. Happy Easter and happy crafting to all! Wow! What an amazing collection. .-= Lynne´s last blog ..Tunisian blocks =-. A lovely parade! Now I have some great idea for snowflake tissue boxes I just couldn’t bear to discard. Thanks for the inspiration… AGAIN! .-= Snowcatcher´s last blog ..My Fourteener Quilt =-. Lovely parade! Thanks for sharing!! !